On we drove from Inverary to Stirling, driving past Loch Lomond. The day began dreary and rainy, so our view of the lake wasn’t that beautiful. Whether we took the low road or the high road, we did get to see Loch Lomond. Although there weren’t that many pull-outs for us to get a good photo. Then we drove on to Stirling Castle through sunshine, rain and fog. We also had to circle around the town twice before we found the way to the castle parking lot. 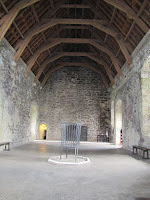 Once we finally got to the castle, we saw the largest medival hall in Scotland. 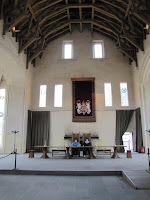 Originally built in 1503, the roof was reconstructed in 1997. 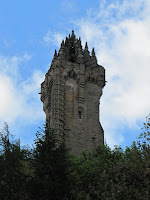 From the castle, we could see the Wallace Monument. Despite some vague directions (‘go to the roundabout and follow the university signs’), we managed to get there. Mom waited in the parking lot while I climbed the short, steep hill and then all 246 steps in the monument. The monument, built in the 1860s, to honor William Wallace stands 220 feet tall. 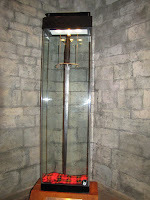 Inside the monument, I saw Wallace’s sword. 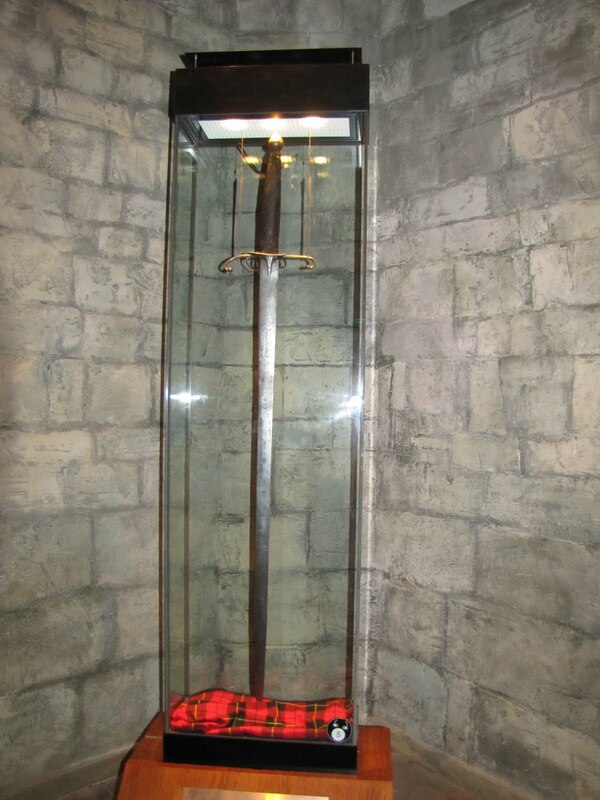 It stands 66 inches long from end to end, which means Wallace himself must have stood about 6 feet, 6 inches tall. That’s tall now, let alone in the 1200s. After making it back down all the steps and the hill, Mom and I drove to the Corrie Glen Bed & Breakfast for the night. The next day, I spent the morning climbing trees and swinging on zip lines, but I’ll post about that another time. 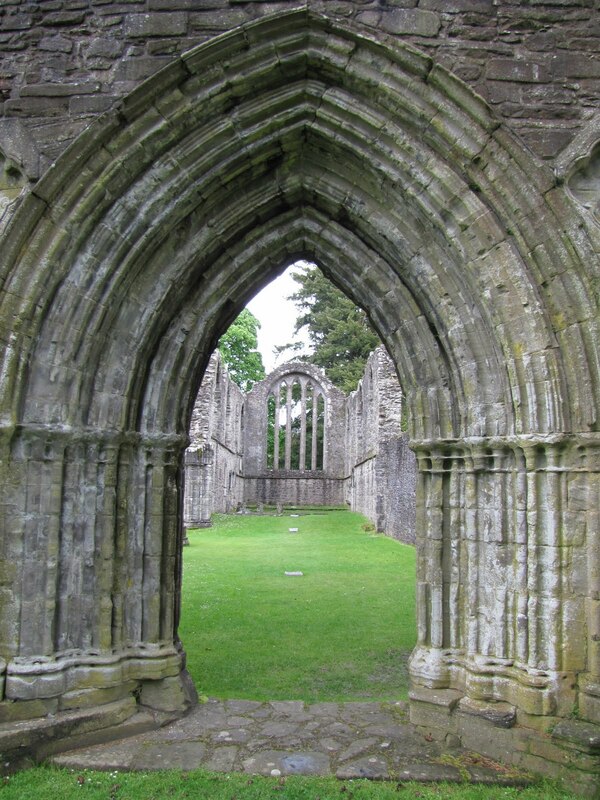 After the zip lines, we went to Inchmahome Priory. 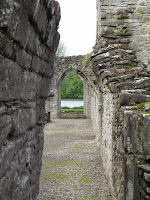 The priory is on an island in the Lake of Menteith, the only lake in Scotland. Getting to the priory was a bit odd. We parked, walked to the end of the dock and flipped a board from the black side to the white side. This indicated that someone was waiting to picked up and brought to the island. The boat ride over was so nice, and the pilot was super friendly. She answered all our questions about Scottish wildlife, and we told her about American animals. 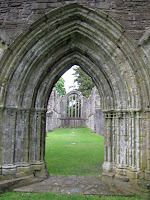 The priory itself was so peaceful. I could see the appeal of being a monk at Inchmahome. The quiet and solitude were lovely. 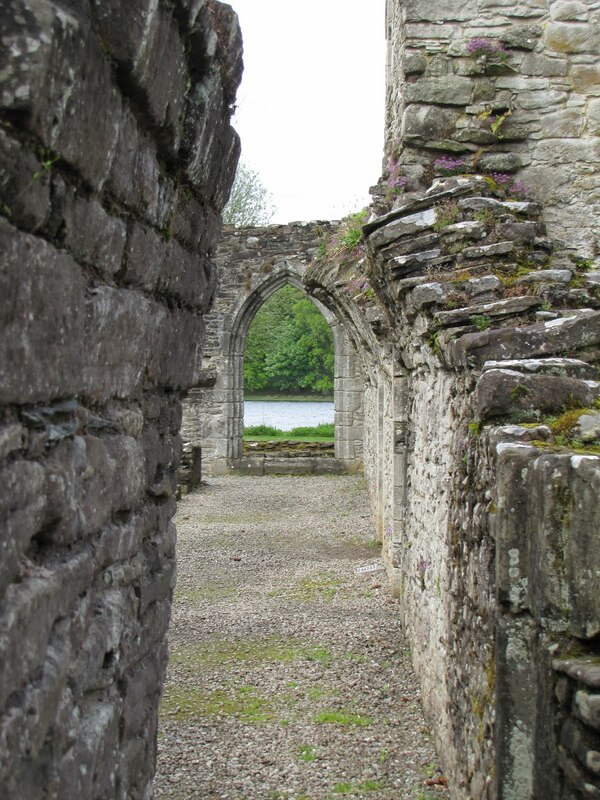 The ruins and setting soothed. 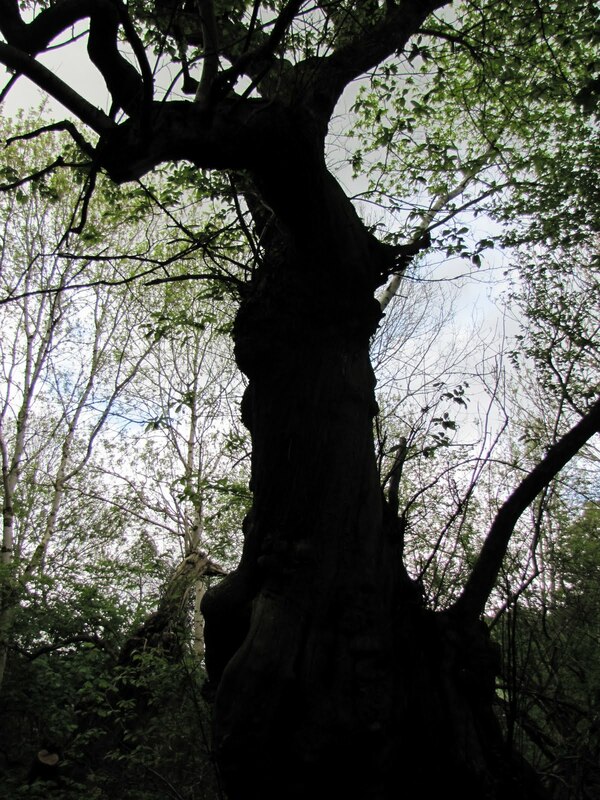 Mom and I walked around the island and saw sweet chestnut trees that were 500 years old. 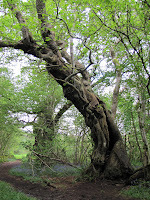 They looked like the tree the giant toad lives in in Pan’s Labyrinth. They also looked half dead, and we wondered how they could still be alive. The whole of Inchmahome was a favorite stop for Mom and I on our vacation. From there we visited Doune Castle. On the advice of the boat pilot at Inchmahome, we listened to the audio tour. Normally, we don’t do the audio tours, but this one was done by Terry Jones. Why Terry Jones? 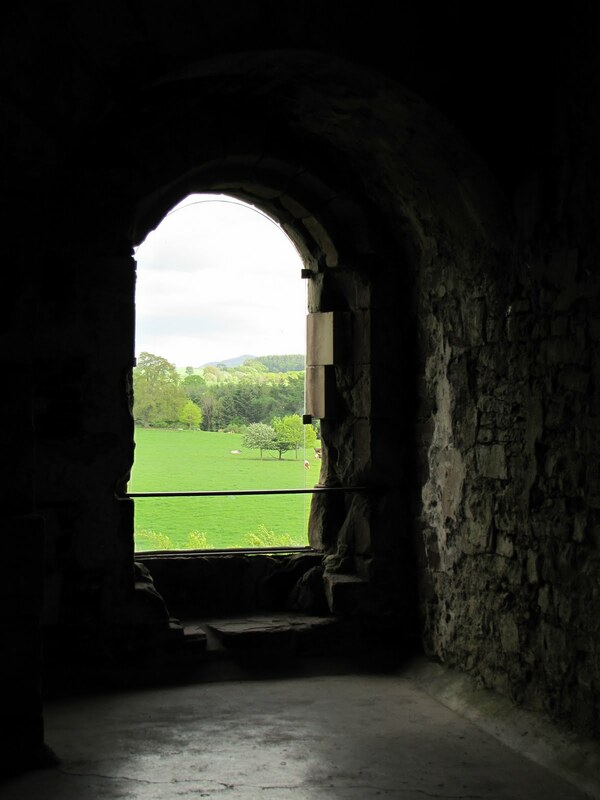 Well, Doune Castle was used quite a bit in the filming of Monty Python and the Holy Grail. Listening to the audio tour, you were given options to hear bits from the movie. I could always tell when someone was listening to Monty Python - they had silly expressions on their faces. 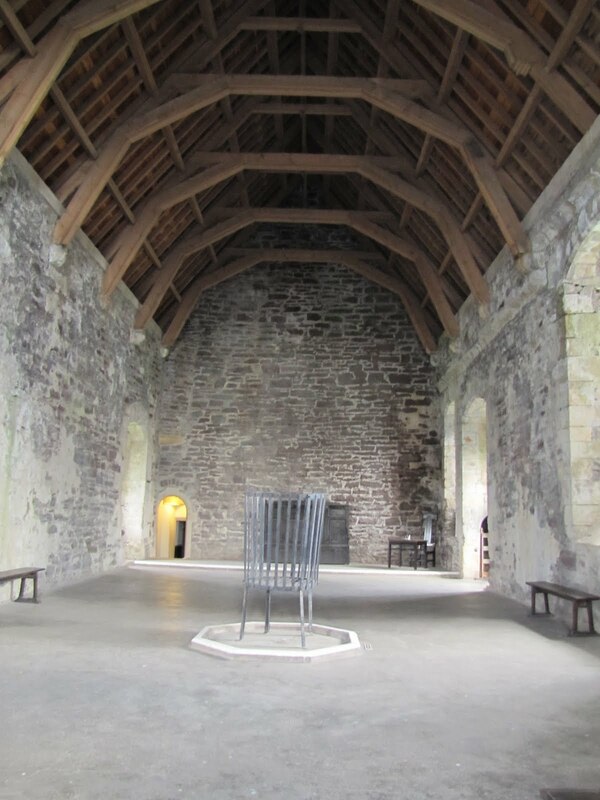 Doune Castle was where the French taunting took place. It was also Castle Anthrax. Mom and I thoroughly enjoyed Doune Castle (and the audio tour). We even took a picture of another group of American tourists using coconuts and ‘riding’ to the castle door.